kingdevil731, Temexter, Wicca and 7 others like this. Hello Katakuri please have your members sign into this thread with +1 to signify that they are members. Izan Wrigth, Herper Watson, Katakuri and 1 other person like this. Izan Wrigth, Herper Watson and Katakuri like this. Camel, Herper Watson and tobi-the-fraggel like this. Camel and Herper Watson like this. Please allow me to welcome you and your Clan War Machine to PRTA! In the following days and weeks we will work on setting up your own teamspeak channels in our teamspeak server, usergroups, the same will be done on our discord: discord.prta.co and on our website where you will receive your own private forum. Thank you for joining PRTA! supercas240 can you take out only the soldiers helmet and head, and make a 16x16 logo for them? cassius23, GHOST "30TICKETS" -DK- and Wicca like this. You should now have access to your own forum. Let me know if you want any more than that. Can you give me some text you would like to have added to your own page in there? 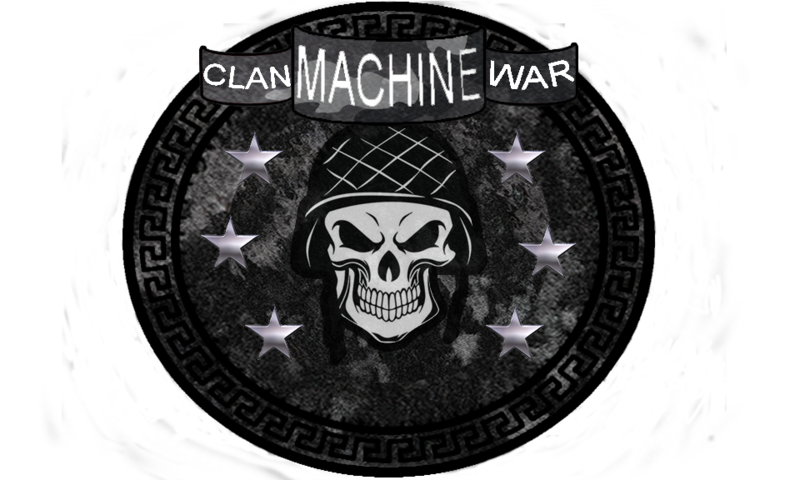 is the name of your clan 'clan war machine' or is your clan name 'war machine'? Just asking as the first appears to me like a misunderstanding. Any reason this shows in progress? Because only 12 of 18 sub-tasks are actually complete.